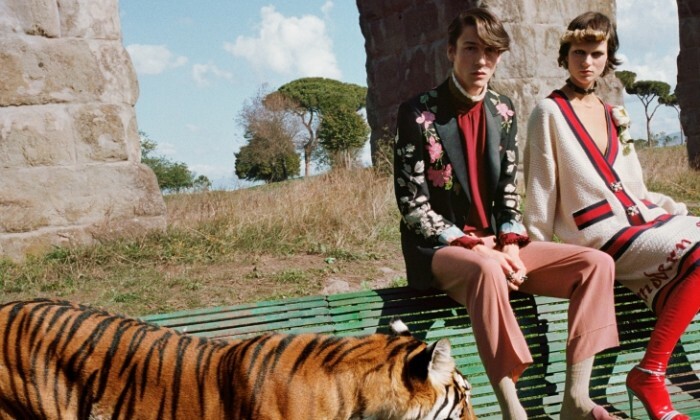 Italian brands are the strongest in the world in Q2, 2018, holding 5 of 10 spots according to a report from global fashion search platform Lyst. The results of the quarterly report are collected by analysing the behaviour of more than 5 million online shoppers, such as Google searches, Lyst page views and searches, and purchasing activities, across 12,000 designers and stores over a 3-month period. Gucci crowns the top of the list for this quarter. The luxury brand has exploded in popularity in recent months, especially among millennial and teen shoppers. It is benefiting from a resurgence in ’90s style and capitalised on an ad campaign featuring Harry Styles. Also its parent company Kering SA reported a 48.7% jump in same-store sales during the first quarter of 2018. Versace is the biggest riser, climbing 21 places since Q1. Lyst said the brand has hit crime show “The Assassination of Gianni Versace: American Crime Story” to contribute to its surge, as well as a string of Met Gala looks that stole the red carpet. Nike is up a grand 11 places since Q1. Being the only sportswear brand in the ranking, Nike shares are at an all-time high after the brand saw a major sales rebound in North America. The following list is top 10 hottest brands of 2018 Q2. The tool targets small and medium businesses and allows them to make corporate/product videos. ..
LinkedIn has launched three new initiatives to push content marketing. ..